Price Reduced!! This property features a beautiful, completely remodeled kitchen that is rarely found in homes of this price range. 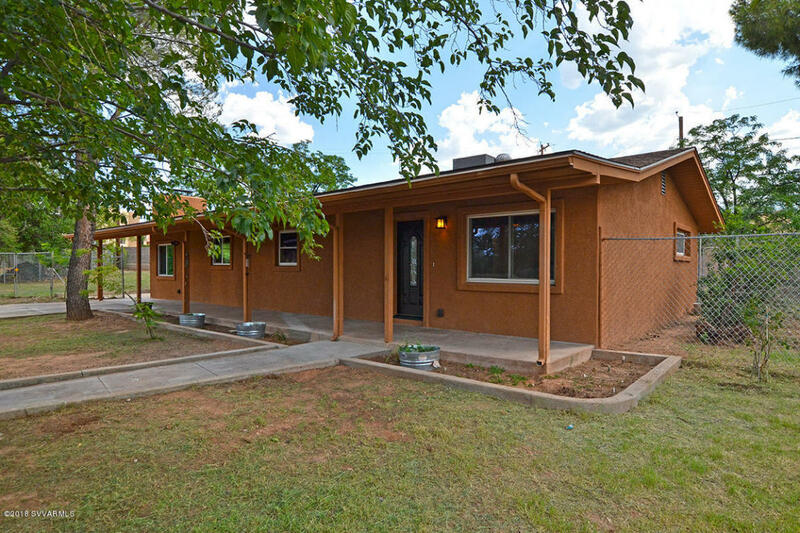 The comfortable 3 bed, 2 bath, split floor plan, 1562 square foot home features quality renovations of all major components: Roof, Stucco, HVAC, Drywall, Doors, Trim and Floor Tile. Large .36 acre lot has fenced side and back yards with plenty of room for the new owner to customize as desired...addition of garage, workshop, artist studio, as well as ample room to park a motor home, camper, boat, etc. Great shade trees, front porch and side patio offer plenty of outdoor activity family space, and huge dog run. Conveniently located in a safe cul-de-sac with nearby amenities of Library, Recreation Center, Hospital and shopping. No HOA. Great investment property!